San Francisco, CA USA - 27 March 2019 - For the past few months, Sailing World Magazine’s 2019 Foiler of the Year- the TF10, has been calling California’s iconic San Francisco Bay area home. Seventy-five-year-old foiling fanatic Malcolm Gefter, dressed in tattered neoprene sailing gear, with an impact-padded PFD and sailing helmet loosely clipped and askew, is beaming ear to ear as he watches his 35-foot trimaran stream across the horizon, hovering 3 or 4 feet above the water with plumes of spray spitting from its rudders. This is an exciting time for the TF10 project. Molds are being exquisitely crafted by DNA performance sailing to exact tolerances from carbon and aluminum. 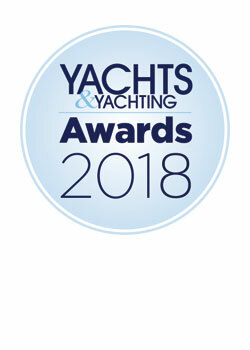 Winner - Yachts & Yachting Sportboat of the Year! The TF10 is "simple to get to grips with so that sailors will not need to be a multihull guru or former America’s Cup athlete to be able to handle and enjoy the Foiling TF10. Over the past year and half, high-ranking and highly engaged members met inside New York YC’s Harbour Court Station to agree upon what the club’s next sanctioned one-design class would be. A small crew from DNA recently travelled to Barcelona for the new TF10 trimaran to be tested by the jury of the 2018 European Yacht of the Year competition – the TF10 is nominated in the category Special Yacht. After the jury testing for EYOTY, we kept on sailing with other media and prospects for their impressions. This super crazy trimaran can entertain and delight. The 11m(36ft) TF10 trimaran by Dna allows amateur sailors to ride on, since it’s made to be easy to handle. Dutch boat builder DNA has launched the foiling TF10 trimaran, which went through sea trials in July and August. 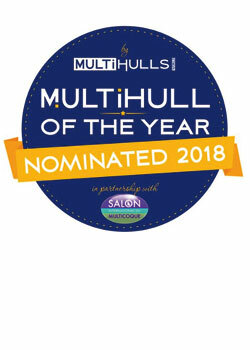 The first hull was conceived towards the end of 2015 and has been commissioned by five US members from the New York Yacht Club and who purchased for personal use. Six orders have been received by the shipyard so far. 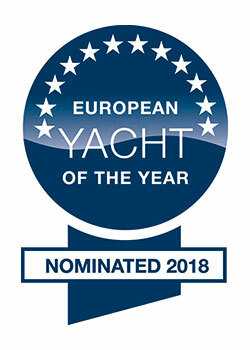 The TF10 team is very pleased to share that the TF10 has been nominated as a candidate for European Yacht of the Year 2018 in the category Special Yachts. With spring in the air and our composite artisans working on the very first TF10, this is one fine place to be right now – provided you like lightweight speed machines..